The gymnasium is oftentimes the focal point of any athletic facility and as such, the gym floor provides the most dramatic visual impact. 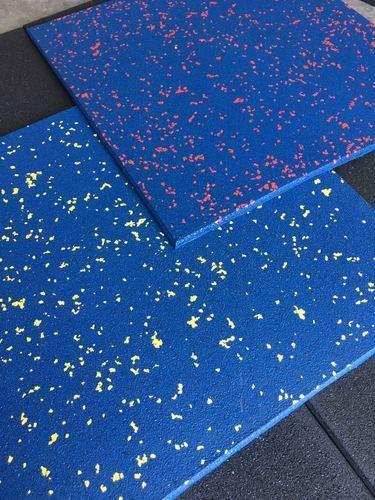 S S Enterprises has the right Gym Flooring Rubber Tile product for you. We understand the technical needs dictated by the primary use of your floor (friction, shock absorption, vertical deformation, etc). We also understand the importance of aesthetics – a custom floor with your logo and team colors can inspire your athletes to greatness and intimidate visiting teams. We specialize in providing a customized Gym Floor that matches your school/corporate colors and the activities that you plan to conduct on the surface. No matter how big or small, your gym floor matters. Incorporated in the year 2002 as a Sole Proprietorship firm, at Delhi, India, we, “SS Enterprises”, engaged in manufacturing a high quality range of Rubber Tile, Rubber Flooring, Rubber Floor Mat, Wooden Flooring, Rubber Flooring Sheets and Rubber Cow Mat. The offered products are formulated using top qualities raw material sourced from the most reputed vendors of the market. Furthermore, we offer our products in various specifications to meet the varied needs of our customers.